Make it three straight weeks at the top for Ole Schemion (GPI#1, -), who was recently revealed as a nominee for Best Tournament Performance at the GPI European Poker Awards, presented on January 29th, 2014 in Deauville, France as part of the EPT Deauville Festival. Schemion won the Rookie of the Year Award at the 2012 GPIEPA. There were no moves inside the Top 10 this week as all ten members get a week off having to look over their shoulder to see who’s coming. We except that things are about to change with major events in Atlantic City, Deauville and Melbourne already underway. Not only does the Top 10 remain intact, you have to look all the way down to the #24 seed to find our first mover of the week. Coming off a couple of early-season scores, including a fourth place finish in the High Roller event at the Macau Poker Cup earlier this week, Justin Bonomo (GPI#24, +17) moves up almost twenty spots this week to 24, his highest rank on the GPI since last October. A pair of American pros lead the charge upstream this week as David Tuthill (GPI#127, +58) and Jacob Bazeley (GPI#100, +50) both continue to move up the ranks after final tabling the Million Dollar Heater Main Event at Beau Rivage Casino in Biloxi, Mississippi. Others swimming upstream this week include recent PCA Main Event 10th place finisher Tom Hall (GPI#151, +50), Mickey Petersen (GPI#109, +29) and Manig Loeser (GPI#170, +18). With only a few cashes in the past six months, Russia’s Sergey Rybachenko (GPI#212, -45) takes the biggest hit this week, moving down almost 50 spots. The same is true for American pro Tyler Reiman (GPI#285, -45) who also moves down 45 spots and falls dangerously close to the GPI300 cut-off line. 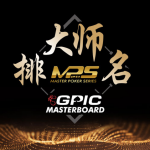 David “ODB” Baker (GPI#145, -42), Philippe Ktorza (GPI#185, -31) and Nicolau Villa-Lobos (GPI#188, -23) are three others who fall down the ladder this week. Liv Boeree (GPI#268, +146) takes a huge jump back into the GPI300 this week. Boeree started the season with a 50th place finish in the Main Event at the PCA and followed that up earlier this week with a runner-up finish at UKIPT Edinburgh in Scotland. After being a GPI300 mainstay for a few years, Boeree actually dropped out of the 300 in October of 2013. WPT Seminole Hard Rock Showdown Main Event Champion Kevin Eyster and Aussie legend Gary Benson also make a return to the GPI300 this week. Of the flip side, a pair of star players, Shawn Buchanan (GPI#302, -3) and Shaun Deeb (GPI#306, -8) find themselves on the outside looking in, each falling outside the 300 for the first time in over three years. Joining the duo this week is WSOP bracelet winner Ryan Welch, who drops out of the 300 despite finishing fifth in the Million Dollar Heater in Biloxi.